The lineages of the Kagyu school of Tibetan Buddhism derive primarily form two sources: Marpa Chokyi Lodoe (1012-1099) and Kyungpo Nyaljor (978-1079). The former was trained as a translator by Drogmi Yeshe (993-105), and then traveled three times to India and four times to Nepal in search of religious teachings. He studied at the feet of one hundred and eight spiritual masters and adepts, principally Naropa and Maitripa. Marpa received the lineage of tantric teachings called the Four Commissioned Lineages (bK’a-babs-bzhi) – concerning the Illusory Body and Consciousness Transference, Dreams, Clear Light, and Inner Heat directly from Naropa (1016-1100), who had been given them by his teacher Tilopa (988-1069). Their original source was Buddha Vajradhara. Marpa brought these lineages to Tibet, passing them on to his foremost disciple Milarepa (1040-1223), the most celebrated and accomplished of Tibet’s tantric yogis, who achieved the ultimate goal of enlightenment in one lifetime. Milarepa was given the responsibility for his meditation lineage and others such as Ngog Choku Dorjey, Tsurton Wangey and Meton Chenpo became holders of Marpa’s teaching lineage. This is how the dual system of philosophical training (bShad-grva) and the meditation training (sGub-grva) are found established in Kagyu maonasteries. Among Milarepa’s disciples, Gampopa (1084-1161), also known as Dagpo Lhaje and Rechungpa (1084-1161) were the most illustrious. The former received the teaching and practice of the Great Seal (Mahamudra) and the Six Yogas of Naropa from Milarepa and synthesised them into one lineage. The resultant combined lineage came to be known as Dakpo Kagyu, the mother lineage of the Kagyu tradition. Gampopa also pioneered a fusion of Milarepa’s Mahamudra tradition with the stages of the path tradition of the Kadampa order. Gampopa’s Jewel Ornament of Liberation is prominent amongst the stages of the path literature of Tibet. The Kagyu Mahamudra lineage was later incorporated into the Gelug tradition by the First Panchen Lama, Lobsang Chokyi Gyeltsen (1570-1662) and is known as the Ganden-Kagyu Tradition of Mahamudra. The Dakpo Kagyu tradition gave rise to four major schools founded by illustrious disciples of Gampopa. These are the Tselpa (Tshal-pa) Kagyu founded by Zhang Yudakpa Tsondu Dakpa (1123-1193), whose chief teacher was Wangom Tsultrim Nyingpo. 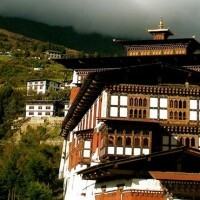 He founded the Gungthang monastery and had many learned disciples. The Barom (‘Ba-row) Kagyu was founded by Barom Darma Wangchuk. He built Barom monastery, from which the tradition took its name. The Phagtru (‘Phag-gm) Kagyu was founded by Phagmo Trupa Dorje Gyelpo (1110-1170). He was one of Gampopa’s main disciples particularly noted for his realisation and transmission of the Mahamudra teachings. Many of his disciples attained high realisation, such as Taglung Thangpa, Kalden Yeshi, Ling Repa Pema Dorjey, Jigten Gonpo and Kher Gompa. Phagmo Trupa also built a monastery in the Phagmo locality which was later called Densa Thil. Many sub-schools grew from his lineage of disciples. The Kamtsang or Karma Kagyu was founded by the first Karmapa, Dusum Khyenpa (1110-1193). This tradition has remained strong and successful due in large part to the presence of an unbroken line of reincarnations of the founder, the successive Karmapas. Famous among them were the Second Karmapa, Pakshi (1206-1282), the third Karmapa, Ranjung Dorjey (1284-1339) and the Eighth, Karmapa Mikyo Dorjey (1507-1554). The most recent incarnation was the Sixteenth Karmapa, Ranjung Rigpe Dorjey (1924-81), who in exile was also appointed head of the whole Kagyu tradition. In Tibet, Tsurphu, located in Central Tibet was the main monastery of this tradition. After coming into exile, the tradition has re-established its headquarters and principal monastic university at Rumtek in Sikkim. It has also developed hundreds of centres throughout the world. In the present absence of the Gyalwa Karmapa’s incarnation, four high lamas who were his disciples are acting as regents. They are Shamar Rinpoche, Gyaltsab Rinpochey, Situ Rinpochey and Jamgon Kongtrul Rinpochey. Eight sub-school developed within the Phagdu Kagyu. The Drikung(‘Brigung) Kagyu, founded by Drikung Kyopa Jigten Gonpo (1143-1217) is presently headed by the 37th Successor, Drikung Kyabgon Che-Tsang (b. 1946), who resides at his monastery in Ladakh. The Taglung (sTag-lung) Kagyu, founded by Taglung Thangpa Tashe Pel (1142-1210). The present head of this school is Shabdrung Rinpochey, who now lives in Sikkim. The Drukpa (‘Brugpa) Kagyu founded by Choje Gyare Yeshe Dorjey also known as Ling Repa (1128-1189), is headed by the 12th Drukchen Rinpochey, who has re-established his monastery in Darjeeling, India. Among the eight sub-schools only these three survive to the present day, with the Drukpa being numerically the largest, followed by Drikung. Unfortunately other subsects of Kagyu tradition such as Trophu (Khrophu) founded by Rinpochey Gyaltsa, a nephew of Phagmo Trupa, who built Trophu monastery; Martsang (sMar-tsang) founded by Marpa Rinchen Lodoe; Yelpa (Yel-pa) established by Yelpa Yeshe Tseg; the Shungseb (Shugs-gseb) started by Chokyi Sengey and Yamzang (gYa’abzang) Kagyu founded by Yeshi Senge have ceased to exist, at least as separate institutions. Although a few lamas of the other major Kagyu traditions may still maintain some of their teaching lineages. The Shangpa Kagyu, one of the two original forms of the Kagyu tradition, was founded by the great adept, Khyungpo Nyaljor (978-1079). Dissatisfied with his training in Bon and Dzogchen practices, Khyungpo Nyaljor left for Nepal where he met Acharya Sumati. From him he received training as a translator and travelled on to India. After having received teachings from one hundred and fifty scholar-adepts he is said to have mastered the entire exoteric and esoteric doctrine as well as meditation on it. His principal teachers include Sukhasiddha, Rahulagupta and Niguma, the consort of Naropa. Besides receiving practical guidance from masters in human form, he also received transmissions from the Dakinis (celestial beings). After returning to Tibet, he received the vows of a monk from the Kadampa master Langri Thangpa. In accordance with the prophecies of the Dakinis, he established the Shang-Shong monastery at Yeru Shang, in central Tibet. As a result the tradition he founded came to be known as the Shangpa Kagyu. Later, he is said to have established further branch monasteries also. In early times, there were more than a hundred monasteries belonging to this tradition in Tibet. 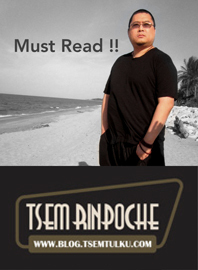 Amongst his followers, Mehu Tonpa, Mogchogpa and Shang Gomcho Sengey are some of the most famous. Amongst the later lineage, it was Tsurton Wangi Dorje, from whom Buton Rinchen Drup obtained the lineage of the Guhyasamaja tantra which was subsequently passed down to Tsongkhapa. The Shangpa Kagyu main practices concerned Mahakala, Chakrasambhava, Hevajra, Mahamaya, Guhyasamaja, the Six Doctrines of Niguma, Mahamudra; and others. The principal contemporary exponent of this tradition was the late Kalu Rinpoche (1905-1989), one of the leading Kagyu meditation masters of this century. It should be noted that while there are many sub-schools within Kagyupas, the fundamental principles of their doctrine are rooted in Mahamudra and the Six Yogas of Naropa. The different schools have arisen only due to slightly different individual approaches to the fundamental teachings. Mahamudra, the unique feature of Kagyu tradition, can be explained according to interpretations of sutra and tantra. Both aspects of the teachings are aimed at direct understanding of the real nature of the mind. The approach to Mahamudra, which differs slightly within each Kagyu school, generally follows through the stages of foundation, path and fruit. Tantric practices unique to Kagyu tradition are the Six Yogas of Naropa, Cakrasambhava and Mahakala. In the context of tantric practice, the application of Mahamudra becomes much more profound and sophisticated. The training of monks in Kagyu monasteries consists mainly of the study of the Perfection of Wisdom, Madhyamika, Valid Cognition, Discipline and Phenomenology common to all traditions, except that each tradition has its own monastic texts and commentaries to facilitate understanding of the original Indian texts.